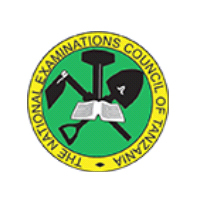 The National Examination Council of Tanzania has announced the results for Form Two and Standard Four. The results are available on NECTA Official Website and you may use the following links to see the results. * S: Results suspended pending clarification of observed anomalies either in candidates' entry details, involvement in cases of irregularities or misconduct in the examination.Results suspended due to centers or schools' failing to meet registration requirements (i.e. centers with less than 35 candidates). * E: Results withheld, pending proof of candidates' payment of requisite Examination fees. * I: INCOMPLETE Results due to candidates' missing Continuous Assessment (CA) scores in all subjects offered. I: Incomplete results due to candidates' missing Continuous Assessment(CA) scores in one or more subjects offered but not all. * W: Results withheld/nullified or canceled due to proven candidate's involvement in cases of dishonesty or irregularities before, during or after the examinations. * T: Results suspended due to candidates' attempting one or more subjects not registered for (pirate candidate). ABS: Candidate missed to take the Exam. FLD: Candidate failed the Exam. X: Candidate did not appear to take the exam for the particular registered subject.